Its Output can be fed into another Manifold (or multiple ones) to have a central place where to adjust transformations. In the example below we will be using a Locator to transform a Noise. A transformation locator will become visible in your viewport. Depending on your object position you might have to zoom out to see it. You can now transform your noise by scaling, offsetting or rotating it. 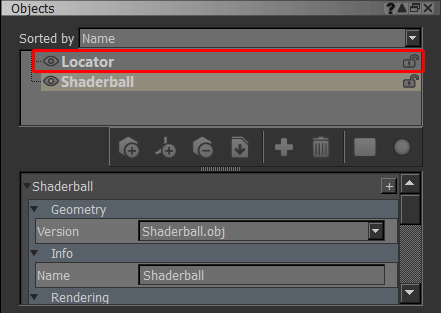 If the locator gizmo is over your object it is very easy to mistakenly click on the object instead. Consider locking the object via the object palette. 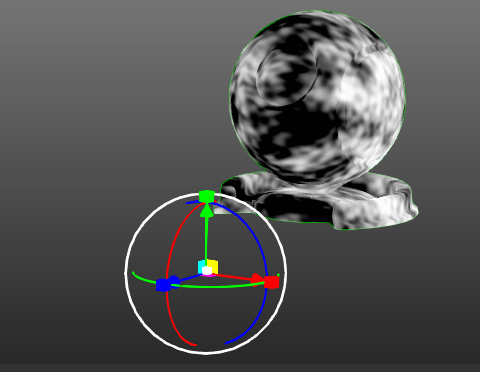 By attaching a node to the port you can overwrite the internally used coordinate system. When this port has nothing connected, the node will default to modifying the world Position data. 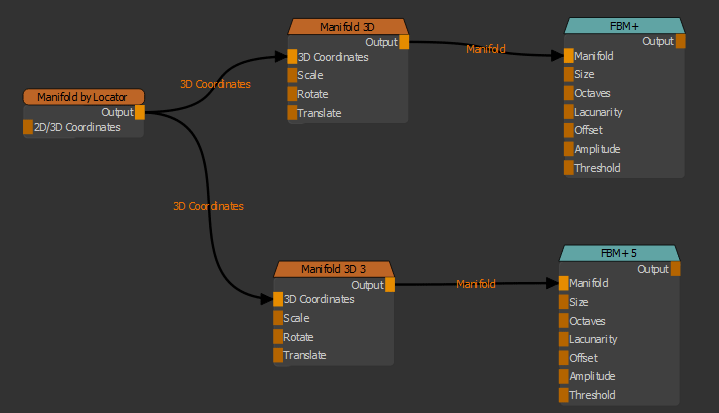 Allows you to pick or create a Locator for Translation, Rotation and Scale so you can adjust the Manifold Transformations directly in the viewport. Determines the mapping of each axis of the locator in the viewport to the node internal coordinate system. 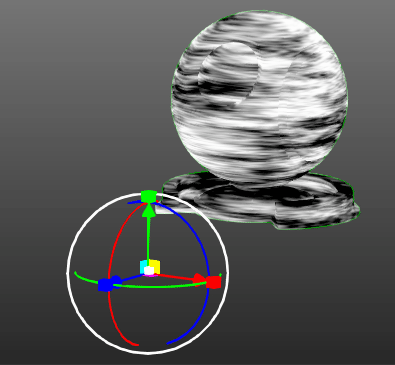 By default your objects bounding boxes are used as a base for computation of movement.